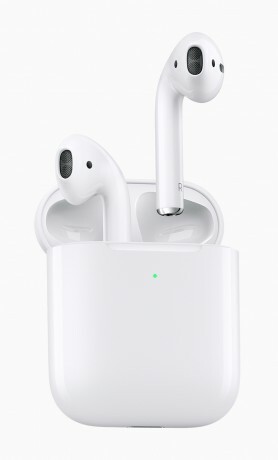 The new Apple AirPods have 50% battery life (talk time) and support "Hey Siri" voice commands to let users quickly change songs, make a call, adjust the volume or get directions. Apple also introduced an optional charging case that can be charged on any Qi-compatible wireless charging pad. The new AirPods are available today with the new wireless charging case for $199, or with the older standard case for $159. The wireless charging case is available separately for $79, for customers with existing AirPods. Apple is also now offering free personalized engraving on AirPods. The new AirPods and case are available online today, and in Apple Stores next week. Apple today said third-party developers can now access Siri and add Siri to their own applications. This means iPhone and iPad owners will be able to ask Siri to perform a much wider range of actions. LG today said it has new features on deck for the V30 handset that will add more artificial intelligence to the device. The company has spent more than a year researching AI and how best to implement it. LG today updated its V30 smartphone with several new features and is now calling it the V30S ThinQ. The majority of specs of the phone are unchanged.